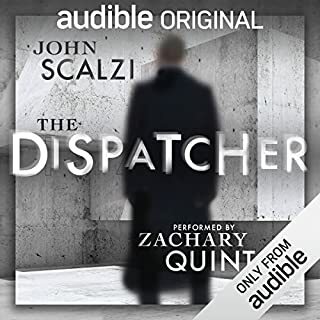 When I was looking at Audible Originals, I was so happy to see a story by John Scalzi. 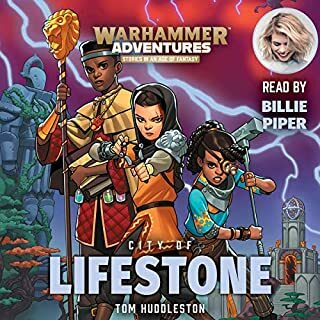 I have loved all of his work that I have listened to, and the only thing that saddened me was that it wasn't narrated by Wil Wheaton. That being said, Quinto did a great job on this one, and it truly was a joy to listen to. The concept of people not dying was introduced early, and then we got to explore all of the avenues that would take a culture. This included religion, government, black market dealing, crime families, assassination, and just a lot of things that Scalzi thought thru when he made the story. The length of only 2 hours was also well done, as it was enough to set the stage and explore the interesting things about it, while still telling a story and not dragging it out for no reason. This book fell into the trap that I feel many 40K books fall into. The character development was lacking, primarily because the main character was an emotionless cyborg. While Sanders did a good job in making us understand that, there just wasn't enough done to make the main character relatable, and thus there was very little buy in on my part to listen to and care about what was happening to him. 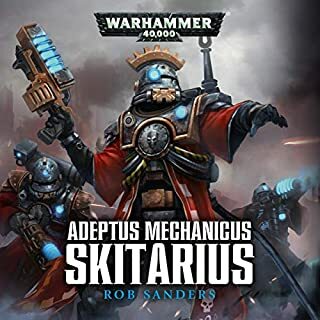 The story line could be summed up as "Skitarii went to a place, fought a lot, the end." It wasn't until the very last chapter or two of the book that I really was drawn in to see what was going to happen. Overall it wasn't horrible, but just didn't draw me in. I won't be listening to the next one. 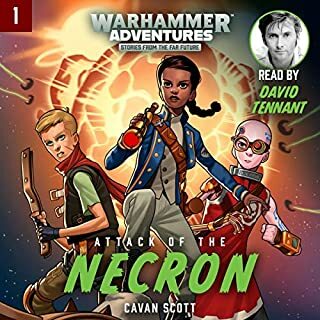 I got this book because I'm a huge warhammer 40k fan, as well as a Doctor who fan. While I like 40k, I'm pretty new to the warhammer Age of Sigmar story line. Combine this with I feel that most of the 40K books I have read have been pretty lack luster. Stories need to be relatable to draw the audience in. in 40K, I have always been disappointed in the character development, because the main characters commonly aren't human, and they are being put in situation that are completely unimaginable in our world. None of this was a problem in this book. The fact that it was AoS seemed to make it easier to have a relatable character in a more fantasy genera that already exists. I was immediately drawn into the story, and while I know the book was short, I ended up finishing it in 1 sitting. It really did a great job at pacing and didn't make me feel like it was written for a little kid. Highly suggested for all ages. Wow! Way better than I was expecting! I got this on a whim while it was on sale. It seemed like it could be humorous to keep me entertained, and turned into something that I couldn't stop listening to when I got home until it was done. 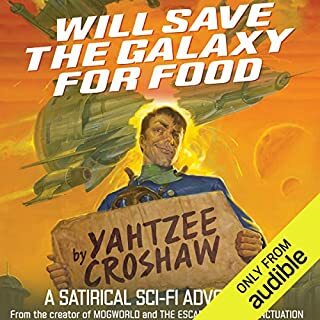 Great book with a really good job at making the situation the characters are in relatable while it still being a sci-fi space book. Very well done and highly suggested! This really was pretty good. It kept my interest and was passed very well. Carter did a great job with this book and Soler did a great job performing it. The only thing that I have against it is that it was just TOO young adult for me to really get any interest in. 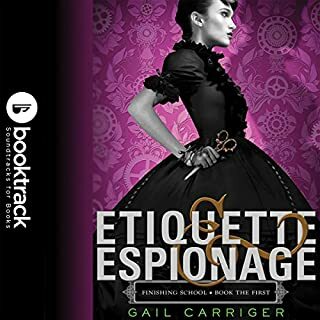 I know that this is me complaining that it is what it is advertised as, but I can't in good conscience give it a 5 star and not let someone know what they are getting into with this book. This felt like the very first harry potter book to me, but it didn't have any of the surprise and majesty you get from a wizard school. This just made it a little bit to boring, and the book focused on the relationships between all the new girls more than anything else. that being said, I will defiantly be suggesting this to my daughter. 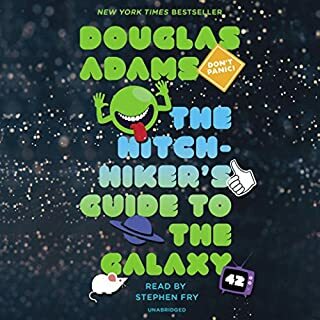 I love the first book of this series, and I love Douglas Adams writing style. While I currently haven't listened to any more of the series, I feel that in many series it is important to take breaks so that it doesn't get stale or boring. If you liked the first book, you will love this just as much. 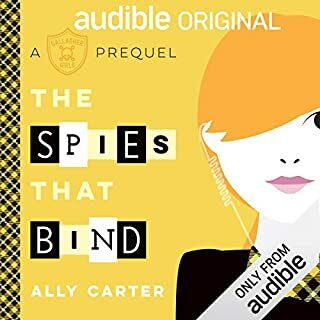 I love this book, I love the movie, I love the older TV series, and I love this audio book. 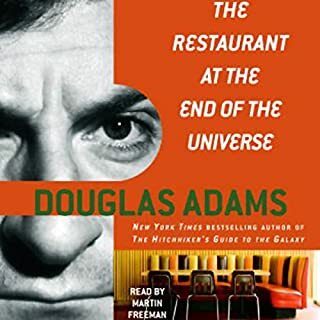 The writing style of Douglas Adams is amazing and something that you can easily pick out when someone is trying to copy him. It is amazingly funny, while being completly serious all at the same time. A monument to stalwart slapstick! I have listened to all of the "Super Powereds" books that Hayes has pus out, as well as Corpies. I feel that in his super hero genera, THIS is his best book. The development of the main character, inner turmoil, and being shown that there are multiple timelines based on the outcome were all amazing. 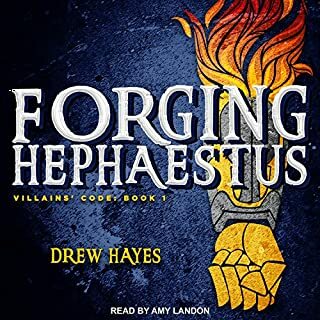 Like I said in the title line, this is my favorite book the Drew Hayes has done, and I have kept up with everything that he has put on audible.